– Christian Coleman speaking after running 6.34 to officially set the 60m world record at the 2018 USATF Indoor Championships. CHRISTIAN MF COLEMAN 6.34 60M WR!!! How fast are you untrained? Reporting my brother to child protective services? Is it possible for me to run sub 22min 5K at age 50 with 17 inch biceps? Register Guard article Apparently Lananna didn’t inform UO about the DOJ investigation either even though it is university policy, but a spokesperson said they didn’t consider the TrackTown contact with the DOJ a university matter. USATF Release: Vin Lananna Placed On Temporary Administrative Leave From USATF Presidency The USATF board of directors say that they wanted to eliminate conflict of interest concerns as the Department of Justice is investigating the bid for the 2021 World Championships. USATF: Javianne Oliver Runs World Leading 7.02 To Win Women’s 60 (Ties #6 All-Time US) Courtney Okolo edged Shakima Wimbley by a 51.16 to 51.17 margin in the women’s 400, while Jarret Eaton (7.43) edged Aries Merritt (7.46) and Devon Allen (7.49) in the 60H. Ryan Whiting won his 4th indoor men’s shot put crown in 8 years. IAAF: Will Claye (TJ) Brittney Reese (LJ) And Vashti Cunningham (HJ) Win The Jumps It was Clay’s first competition of the year, Reese’s 11th national title and Cunningham’s third straight US crown. 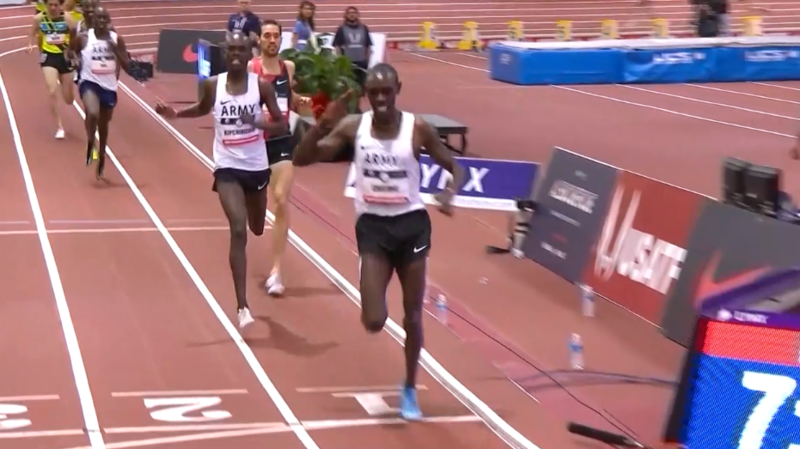 LRC Men’s 3,000: Army Strong – Paul Chelimo Repeats As Shadrack Kicphirchir Outkicks Ryan Hill Chelimo showed why he’s one of the best in the world with a 26.09 final 200 as altitude-born runners took 4 of the top 5 spots. 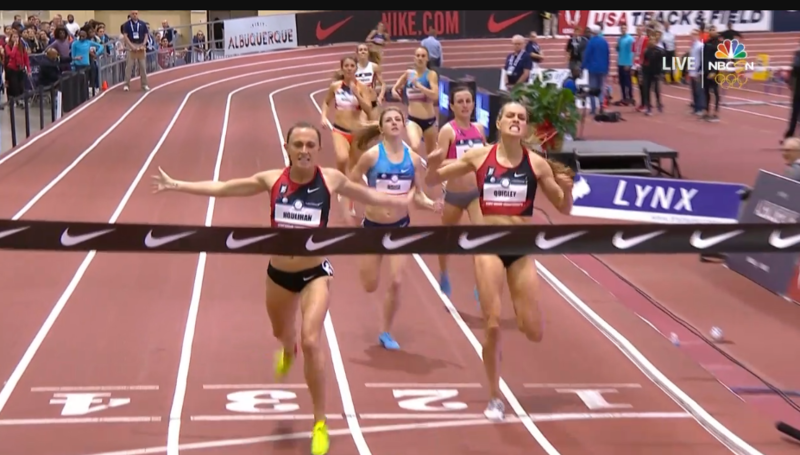 LRC Women’s 3,000: Shelby Houlihan Earns Convincing Win As Katie Mackey Makes Her First Worlds Team Shelby Houlihan looks unbeatable domestically right now but there was room for an underdog behind her as Katie Mackey snapped an 0-13 US Champs streak and made her first US team. 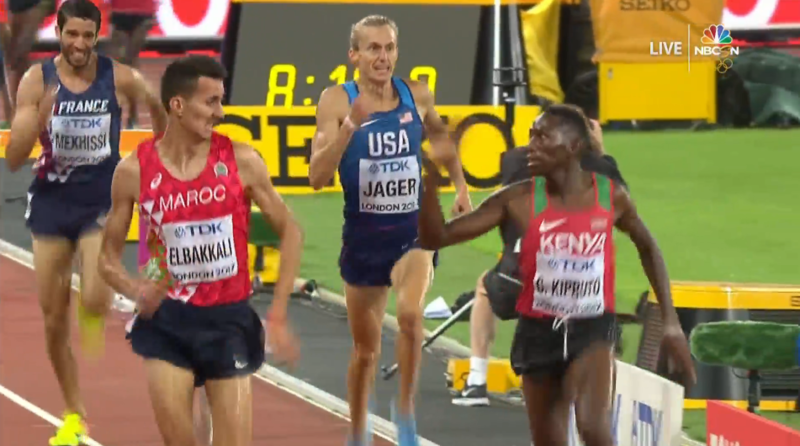 LRC Big Drama In Men’s 800 Prelims: Clayton Murphy Goes Home Early, Women’s Favorites All Advance While there was big drama in the men’s 800 prelims, the women’s race went very much according to form as the six fastest entrants took the six spots in tomorrow’s final. More 3k DQ drama at USAs in ABQ? Should someone be DQd for this? 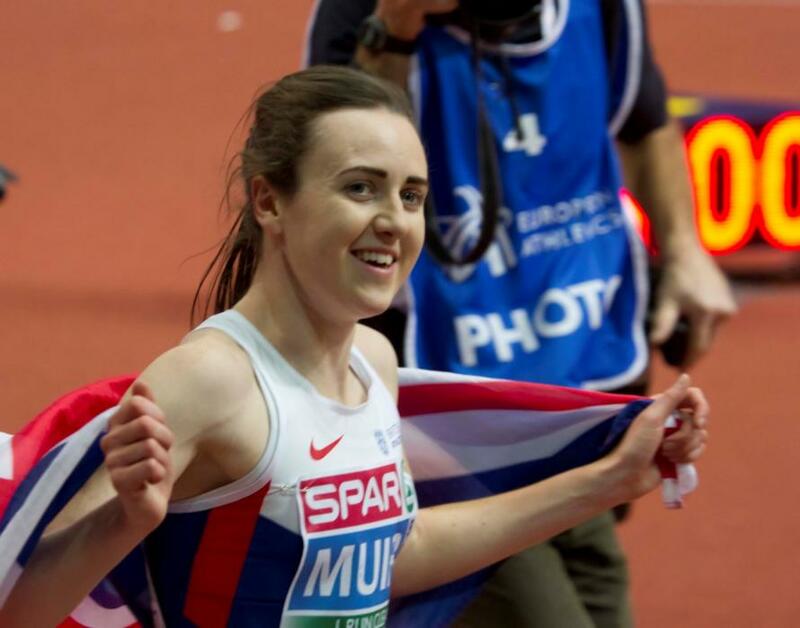 Laura Muir Eases To British Indoor 3,000 Title In 8:46 Muir now has a set of British indoor wins as she’s previously won the 800 and 1,500. Greg Rutherford Back On Track From Injury With British Indoor Long Jump Title Rutherford only jumped 7.80m, but it was his first competition after having two surgeries and only starting to walk in November. Asha Phillip And CJ Ujah Storm To 60m British Titles In the men’s 1,500, Jake Wightman outkicked Charlie Grice to win in 3:43.83 after Chris O’Hare had to sit out due to a foot issue. Paralympic shot put champ Aled Davies finished 6th in his first able-bodied championship. Sunday: Morocco’s World Steeple Silver Medalist Soufiane El Bakkali The Favorite At Almond Blossom XC In Portugal He faces former world indoor 1,500 silver medalist Daniel Kipchirchir Komen. 2016 winner and home favorite Carla Salomé Rocha leads the women’s race. March 4: Defending Champ And 2:06 Man Ezekiel Chebii Returns To Lead Field For Lake Biwa Marathon He faces a field with seven sub-2:10 men and New Zealand’s Jake Robertson (60:01 half PR) making his marathon debut. *MB: CHRISTIAN MF COLEMAN 6.34 60M WR!!! 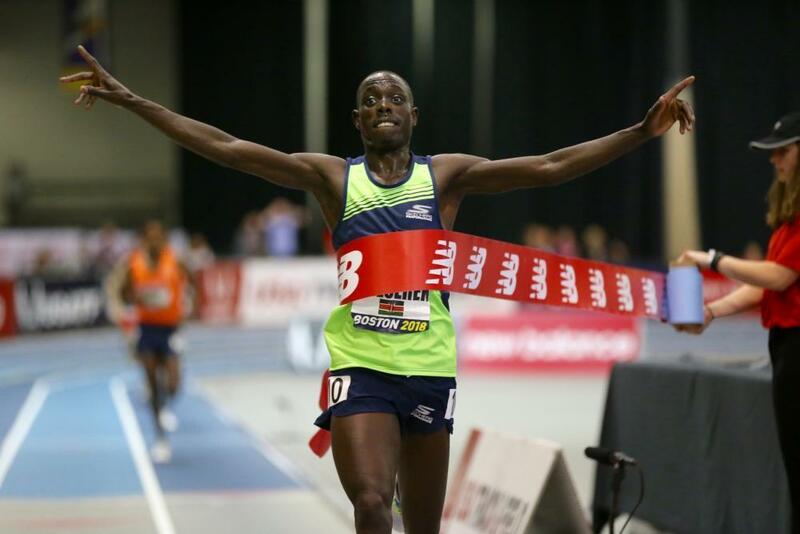 1,500s LRC Paul Chelimo And Shelby Houlihan Complete Doubles, Win 1,500 Titles At 2018 USATF Indoors In contrasting ways, Chelimo and Houlihan proved they were a step above everyone else in ABQ. *MB: Ben Blankenship refused to tell us his age today The mysterious age of Ben Blankenship saga continues. Today’s interview in page #3. 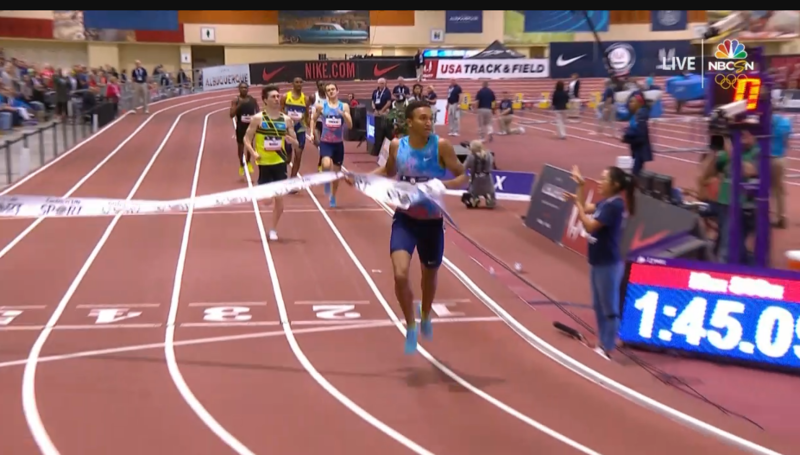 800s LRC Donavan Brazier And Ajee Wilson Keep Up Their Winning 800m Ways At USATF Indoors Her soon-to-be training partner, Raevyn Rogers, was second as the fastest American woman in history, Charlene Lipsey, was dead last. 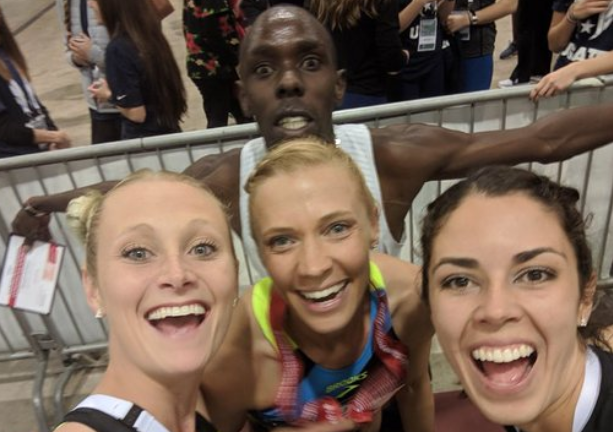 LRC Rest Of Meet: Dreams Become Reality: Unheralded Katie Nageotte Upsets Sandi Morris AND Jenn Suhr, Takes WR Attempts, Sharika Nelvis Sets American Record In Hurdles Talk about 2 shockers, plus some crazy 400 action and more. 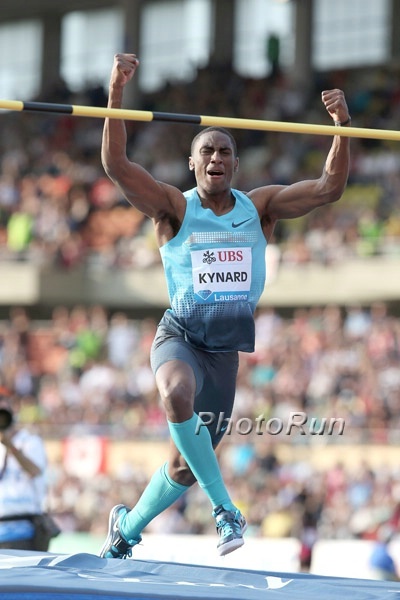 Erik Kynard Wins A Record 5th-Straight US Indoor High Jump Title But Doesn’t Make Team USA Kynard was so mad when he failed to get the 2.33m standard that he “ripped off his number and spiked the crossbar.” But since no other Americans in Albuquerque have the standard, Kynard could probably still go via IAAF invite. IAAF: World Silver Medalist Jarrion Lawson Impresses In The LJ With 8.38m To Defeat World Indoor Champ Marquis Dendy In the women’s 60H, Christina Manning (7.84) led the way ahead of WR holder Keni Harrison (7.87), Sharika Nelvis (7.91) and Olympic bronze medalist Kristi Castlin (7.94). Scott Houston Gets Upset Pole Vault Victory Over World Champ Sam Kendricks Houston cleared a PR of 5.83m to Kendricks’ 5.78m. 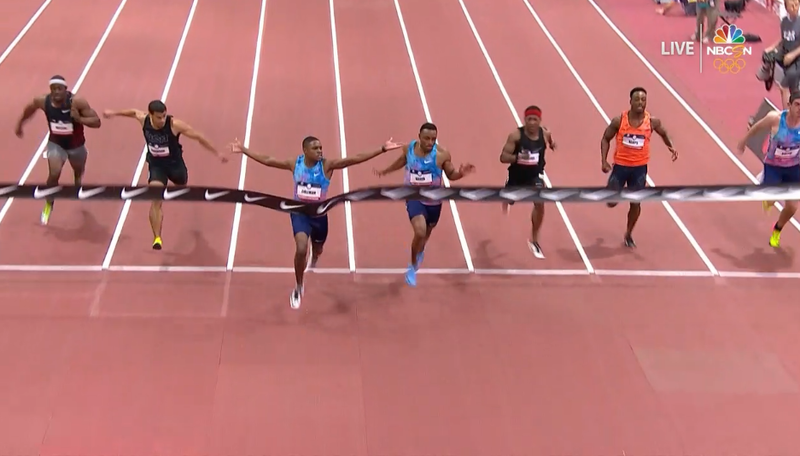 USATF Recap: Jeremy Taiwo Wins Heptathlon; Christian Coleman Leads 60m Heats With 6.46 In the “our sport is weird” category, there were three heats of the men’s 60 hurdles to eliminate one guy. Colorado High Schooler Emily Sloan Runs #2 All-Time HS Mark In 60H Prelims With 8.07 The performance also qualified Sloan for today’s final. Some Interesting (AKA Glitchy) Reaction Times In The Men’s Heptathlon 60m A negative reaction time means you time traveled right? New Mexico Native Curtis Beach Isn’t Competing Due To Injuries But He’s Changed Course & Plans To Give Heptathlon Another Shot Once Healthy In 2016, he said he was done with the multis but now says he’d like to give the Hep but not the decathlon another shot. But for 2018, he’s training for the 800. Erica Bougard Defends Her Pentathlon Title On Day One OF USATF Indoor Champs In the heptathlon, Devon Williams and 2015 national champ Jeremy Taiwo are in a close battle for first. DyeStat’s 10 Storylines To Follow At USATF Indoor Champs The 60H should be great races as the men have the past three national champs in Aries Merritt, Jarret Eaton and Aleec Harris, and Keni Harrison leads the women after tying the AR with 7.72 earlier this season. Thursday: IAAF Recap: World Leads From Piotr Lisek’s In The Pole Vault (5.91m) And Konrad Bukowiecki’s In The Shot Put (22.00m) As Well As Mariya Lasitskene’s 2.0m (HJ) Highlight Copernicus Cup In the women’s 1,500, Morocco’s Rababe Arafi got an upset win over world 5,000 champ Hellen Obiri (3rd), Ethiopia’s Taresa Tolosa (3:37.41) beat out Poland’s Marcin Lewandowski in the men’s 1,500 and Adam Kszczot ran 1:46.75 to win his fourth-straight race of 2018. Tuesday: Adam Kszczot Runs 1:47.12 To Win 800 In Lievin, France Over European Leader Alvaro de Arriba By .02 World 800m champ Pierre-Ambroise Bosse won the 1,000 in 2:20.01, missing his attempt at the French NR of 2:17.01. 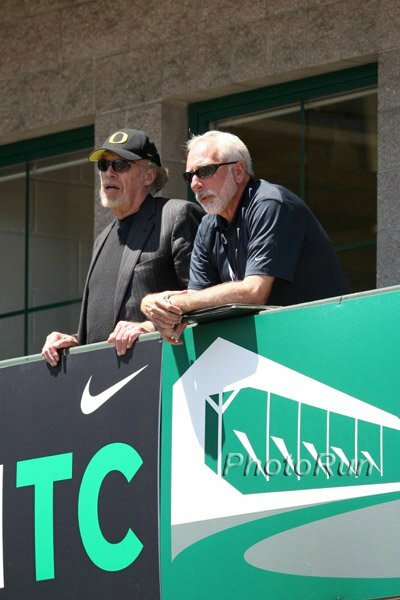 Vin Lananna Says The University Of Oregon Will Re-Bid For The 2020 NCAA Outdoor Championships After The NCAA Re-Opened The Bidding Process Lannana said that Hayward Field will take a one-year renovation hiatus in 2019, but be able to host meets in the 2020 outdoor season. Stanford DMR Team With Grant Fisher And Sean McGorty Runs School Record And NCAA #1 Time With 9:26.91 At Alex Wilson Invy Fisher split 3:55 to give Stanford the win over Oregon (9:27.17) and Wisconsin (9:27.72). It was the first time Fisher and McGorty ran on the same relay. *Wisconsin Shatters DMR Record At Alex Wilson Sophomore Ollie Hoare anchored with 3:54.05. USTFCCCA Says Last Weekend Was “Arguably The Greatest In The History Of Collegiate Indoor T&F” 66 top-25 marks were set with 10 inside their events’ top 10 and two were NCAA records. 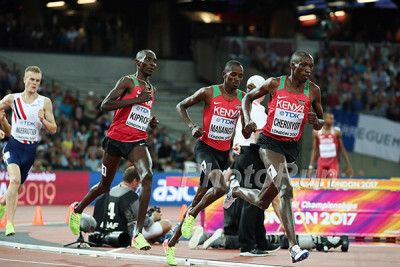 World 1,500 Champ Elijah Manangoi And Olympic 800 Bronze Medalist Margaret Nyairera Beaten To Runner-Up Finishes At Commonwealth Games Trials World silver medalist Timothy Cheruiyot ran 3:34.01 to beat out Manangoi by a second and World Champs finalist Emily Cherotich ran 1:59.04 to beat out Nyairera. Other winners included World Under-18 silver medalist Edward Zakayo in the men’s 5,000 (13:28) and world junior champ Celliphine Chepsol in the women’s steeple (9:40). World Junior Champ Rogers Kwemoi Wins A Close 10,000 In 28:46 Pre-race favorite Olympic silver medalist Paul Tanui DNFed with injury. World 5,000 Champ Hellen Obiri The Only Athlete Given A CWG Wild Card Entry It was supposed to be first three across the line, but Athletics Kenya made an exception for Obiri. 2015 World Youth 2000 Steeple Silver Medalist Sandra Chebet Wins Women’s 10,000 Chebet ran 32:41 to beat out Kenyan XC champ Stacy Ndiwa by .4 while Olympic and World 4th placer Alice Aprot was a DNF. 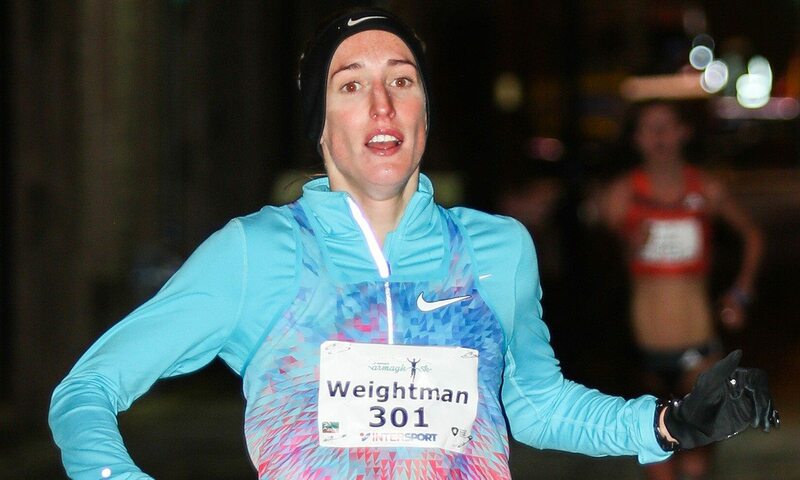 LRC 3K Previews: It’s Bowerman TC Vs. WCAP, Featuring World Medalists Paul Chelimo & Ryan Hill; Shelby Houlihan Should Dominate In the women’s race, we assume Houlihan is going to win and wonder who gets 2nd – Coburn, Mackey, Hall or someone else? For the men’s race, we pause and remind ourselves what an amazing two years it has been for Paul Chelimo. 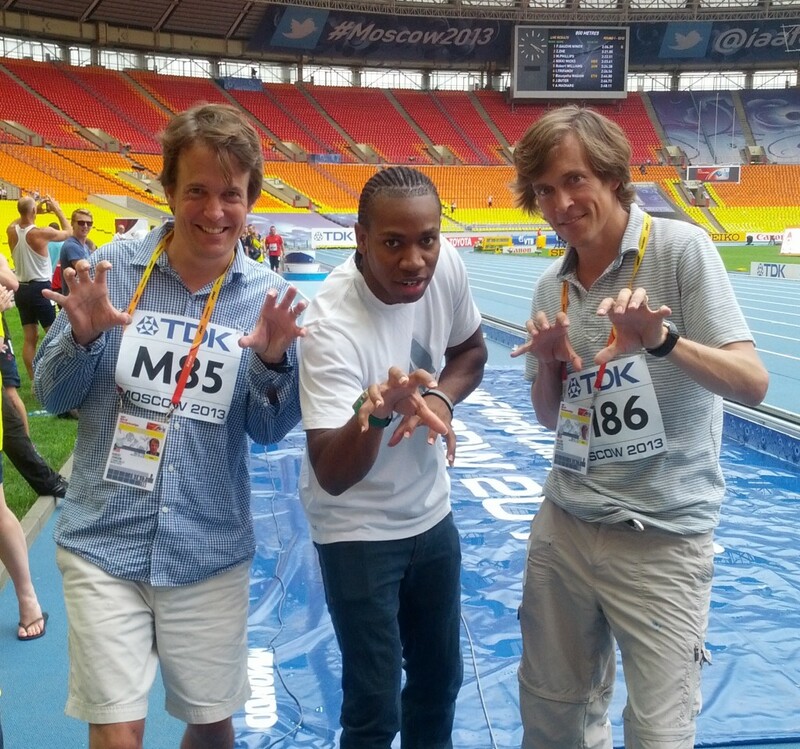 Does Ryan Hill – the reigning Worlds silver medalist at 3k – even make the US team against Chelmo and his WCAP buddies? *MB: 2018 USA 3ks: Does Ryan Hill stand a chance against the WCAP studs? Can Emma Coburn make a team on the flat? LRC 1,500 Previews: Craig Engels Tries To Make His First U.S. Team; Can Anyone Prevent A Bowerman TC Sweep In Women’s Race? There will be plenty of drama in the metric mile. LRC 800 Previews: Ajee Wilson Should Dominate, But Brazier Vs. Windle Vs. Murphy Vs. Sowinski Is Must-See TV The men’s 800 at 2018 USA should be AMAZING. It features 2 of the 3 fastest Americans indoors in history, plus the reigning Worlds bronze medalist and an Olympic medalist. *RRW: Drew Windle Running For Respect, National Team Spot Windle wants to prove that making the Worlds team last year “wasn’t just a fluke” and thinks the altitude and rounds will give him an edge in Albuquerque. One Story We Missed From The Weekend: LRC Meet Switzerland’s Julien Wanders – The 21-Year-Old Who Just Ran A 60:09 Half Marathon NR Last Weekend Wanders, who is following in the Robertsons’ footsteps and living in Kenya, ran a massive 1:34 PR to get 2nd in Barcelona.